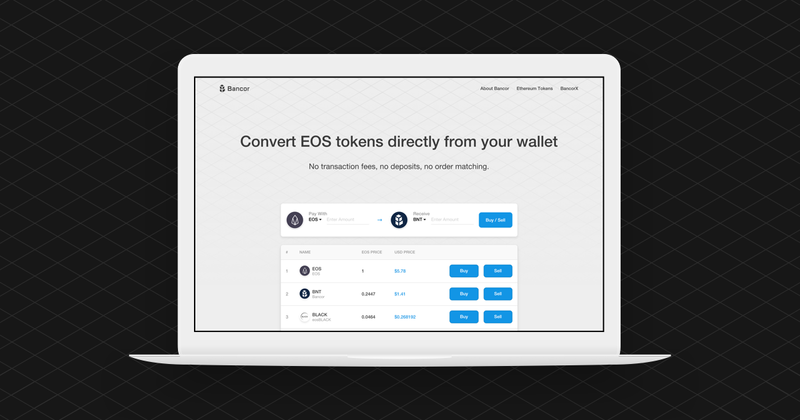 Bancor Network (EOS) — Enabling automated token conversions on EOS. The Bancor Network enables automated token conversions between 110+ Ethereum and EOS-based assets. Users can now convert across blockchains without having to deposit funds on an exchange, and without having to find a matching order from a buyer or seller.